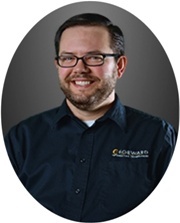 Managed Services, IT Solutions, C-Forward, Inc.
CEOCFO: Mr. Ruschman, according to your site, C-Forward prides itself on being a top tier managed services provider. How so? What is a top tier provider in your eyes? Mr. Ruschman: Top tier means providing great customer support, being available when our clients need us. We are a 24/7 company with many clients in manufacturing as well as those operating twenty-four hour businesses. Our ability to proactively support them even in off hours makes us top tier. We have several types of software that are configured to alert and monitor so can we find issues before they become big problems. Usually around the security realm, we have eight or nine tools that we use and always upgrade and change. Making sure a firewall is configured correctly, antivirus is updated and malicious emails don’t make it to a user’s inbox is the first step. More importantly we have found that training users on being aware of incoming email and to question messages and attachments or links is the most important thing to prevent downloading viruses. CEOCFO: How do you train someone not to fall back on old habits? How do you train someone to not click on everything and not instinctively click when you see something scary? Mr. Ruschman: We educate on what malicious software that hackers employ and the newest tricks that are being used. If you do not think you have a UPS package coming to you or if you do not do business with a certain company, or if the FBI or IRS has randomly contacted you, chances are, it is not a legitimate request. We deploy software for our clients that sends fake Emails and reports back who clicks on the links. The purpose is to discover the habitual offenders who aren’t stopping to think before clicking on an attachment. In an organization with 100 people, if we have three or four people that click on every one of those fake messages that we send them, we have a pretty good idea of who needs training. It is not 100% guaranteed but we really do focus on training those specific people about why something they clicked on was a malicious email and how it can cause infections to be downloaded onto the network. CEOCFO: You mentioned manufacturing companies and 24/7 businesses. Was that a focus from day one or did it develop opportunistically for those types of businesses? Mr. Ruschman: It developed opportunistically. We still do not focus on any one vertical. We have earned a great deal of our business by word of mouth referrals. We supply great support and solutions for a company in manufacturing as well as in the non-profit world. These CEO’s and Executive Directors then talk to their friends who are in the same industry. We were founded 20 years ago by our Chairman of the Board, Brent Cooper, with a philanthropic mindset. Naturally, we were a great fit to non-profit organizations, who are prominent in the community. We supported their organizations internal network and, in turn, also supported their fundraising efforts by giving back to the community. We provided terrific support and our name got out in the community. Our clients tend to tell their friends and their friends begin to work with us. We have historically done very little marketing outside of sponsoring our clients’ events. CEOCFO: What is your geographic range? Mr. Ruschman: We support clients nationally. Our local headquarters are in Covington which supports Greater Cincinnati and then an office in Lexington supporting Central Kentucky. Some clients have their headquarters in Cincinnati but we support their branch offices in other states as far as Texas, Florida and New Jersey. However, ninety percent of our business is within the greater Cincinnati area but is continually growing in Lexington and Louisville. Mr. Ruschman: Almost all work that we do on premise at this point is proactive work. We visit our clients at least once a quarter (sometimes once a month) and review their infrastructure, making sure things in the networking closets and all onsite hardware is operational and running well. A good deal of our work is done remotely. We have one employee that does 100% of her job from Baltimore. When our Lexington technicians are not going on site to clients in central Kentucky, they are assisting clients that reside closer to Covington. We open, work on and close 60-70% of our tickets proactively, without involving our client at all. For example, we may get an alert that a backup didn’t complete successfully. We would work the solution and fix it without our client ever knowing that it failed. There are a lot of tools now that were not available three years ago that allow us to do that. Our client gets a notification that a ticket was open and then closed with notes on what we fixed, but other than that, they do not even know that we worked on it. CEOCFO: Do many of your clients want to know what you are doing; do they care as long as everything is running well/? Mr. Ruschman: They typically do not care. We promote ourselves as their IT department. We are going to be proactive and stay on top of things. We want our client’s IT to be an afterthought, we want computers to work and we want them to be able to do their job. Our goal is not to spend hours on the phone with clients trying to fix an issue. We have proactive software in place to avoid that situation. We put duplication efforts in place for firewalls and routers and with multiple datacenters for backup. CEOCFO: How do you stay on top and ahead of the curve on things like security? How do you know what is right for any given customer? Mr. Ruschman: You have to stay on top of it because it changes all the time. I go to five or six conferences a year to learn about the solutions that are available and I learn from different software vendors on their newest updates. When I return, our management team and I go over what we have and we determine if a different, newer solution would be a better fit for what we need to accomplish. Allowing us to be more proactive and security-focused is normally what would have us make a change to a new product. We are a Managed Services Provider, we have a security package and our clients use all services that we offer. We do not granularly offer them certain things. It helps our technicians know what is in place and we use the same tools for all 150 of our clients right now. It has streamlined everything that we do. CEOCFO: What has changed at C-Forward since you became president in August? Mr. Ruschman: I have focused on streamlining our efforts to be a complete Managed Services Provider. We have eliminated or upgraded existing clients and situations that were not very successful for us. We want our clients to be happy and we discovered that the unhappy clients were the ones that still utilized us at an hourly rate and called us when they had issues. They were not getting proactive support, not using the tools that we recommend and they were not on our managed services plan. One big change is that we no longer offer hourly rates or block time. We had to realize that our model was not going to work for everybody, but we promote how they can now budget and know exactly what they are going to spend each month. Our clients had to decide what was best for their business. It is my job to sell the value in having a 24/7 reliable helpdesk to work on their network and finding issues before they become big problems; allowing their workforce to continue their jobs with little to no downtime. It is a business decision on their end and on our end. Some clients stayed and others left but it was handled professionally so there were no breaks in service for anyone. CEOCFO: Are you doing things like cabling and offering staffing for all of your clients or is that as requested? Mr. Ruschman: We employ cabling specialists in-house and have many projects going on right now with new and old construction. Projects range from one or two new cables to large, new buildings that may involve hundreds of hours to complete. There are some clients that we provide staffing for eight hours a day onsite. That is an option for some larger companies that need the onsite presence and knowledge of an IT team. CEOCFO: What do you look for in your people? CEOCFO: What is next for C-Forward? Mr. Ruschman: It is expansion into new cities. We expanded into Lexington last year and currently have six clients with three employees. Coincidentally, all of the clients in Lexington also have offices in Louisville, so that will be our next move. Dayton and Columbus also make sense. Up until now, we have never grown by acquisition and I envision that to remain the same. We have had slow and steady growth over twenty years and we intend to maintain that. We are at a point now where we are very confident in what we are selling and where we are going. It took us some time to get here, but the management team has worked together over the last four or five years with a franchise-type mentality. Anyone we trust would be able to open an office by mirroring our current operations. We have studied and researched as to why we do what we do and I think expanding for those reasons is going to be a lot simpler in the future.